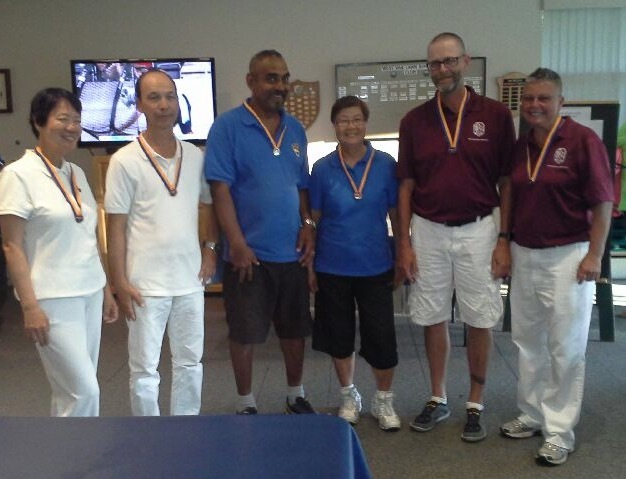 It was a repeat performance from the 2015 BC Mixed Pairs Championships as Hirendra Bhartu and Josephine Lee added to their already impressive Mixed Pairs trophy case. 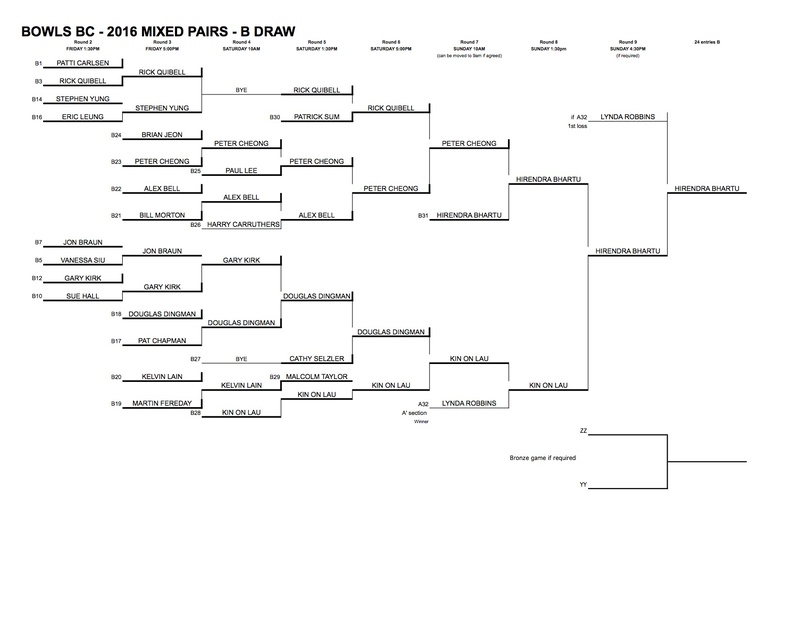 This was the 6th time the duo has won the Mixed Pairs title and 7th for Josephine. They will head off to the Glenridge LBC in Ontario to represent BC at the Canadian Mixed Pairs Championship being held Sept 15-20th. After losing the “A’ to Lynda Robbins and Kevin Burns in a close battle, Bhartu/Lee took the long road to get to the final for the revenge. The duo started to pick up steam right from the first game in the morning as they cruised to into the final game to win 20-9. It was a great tournament for Lynda Robbins and Kevin Burns as they made the trip from Victoria, BC representing Canadian Pacific LBC. A special thank you to all who participated and to the West Vancouver LBC for putting on a great tournament for the athletes and spectators.